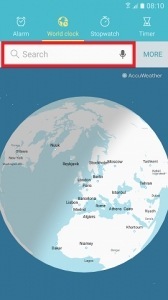 Anyone know about a World Clock map? Like one which shows times for different cities on a globe. But I haven't been able to find one online or as a application. Google + Google Earth works wonders. Is that what you're asking ? @-Mark- Kind of, the one @intense suggested seems much more user friendly though. Would've liked to see one as a globe but looks like it isn't available. @Lanik Not sure how that would help with a clock map. @smed79 Not what I was looking for but still useful. Thanks. Is that what you mean by globe ? @-Mark- Thanks so much, that is exactly what I was for looking for. Sad that its a CPU hog but still really useful. Yeah as soon as that globe loads it takes over 95 % of your CPU cores and causes lag as a side effect on Chrome.